Cote d’Azur, as we know it today – frequented by yachts and film stars-is primarily a product of the last 150 years, but the historical impact of its central location dates back more than 2,500 years. Its geographic position and many natural harbors on the north side of the Mediterranean made it a stopover for early seafaring people like the Greeks; a natural extension of the Roman Empire; a target and base for Saracen raiders; and a place where the ambitions of French, Spanish and Italian kings and princes came into conflict. More recently it has been a destination for tourists, retirees and seekers of improved health, and a landing place for the invasion of France by the Allied armies in the Second World War. 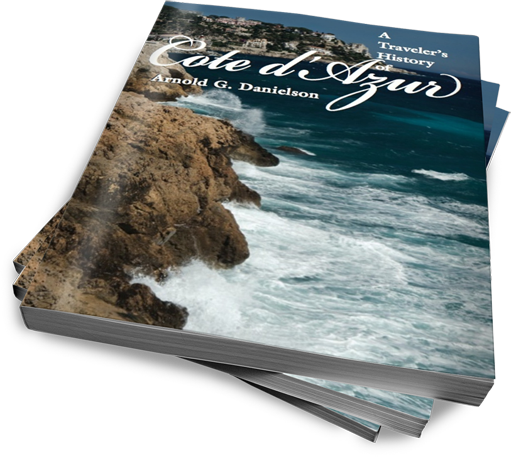 This book begins with Cote d’Azur’s early days and moves through to the present in a comprehensive, but concise, easily readable form. It should help travelers relate what they are seeing today to what it wasefore.